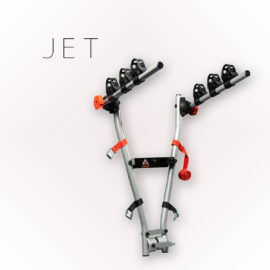 Bike carrier is the simplest and cheapest way of transporting bicycles by a car. This solution is recommended for users of cars of standard height. In case of taller cars such as SUVs, installing the bike might be inconvenient. 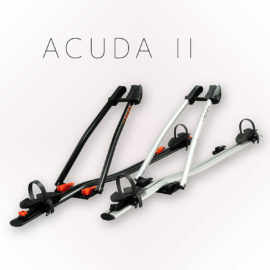 One of the biggest advantage of bike carriers – apart from the price – is the fact that the bikes are away from the road – so away from dust, dirt or small rocks. In result they survive the long trips much better. The more expensive the bike, the more important it is. 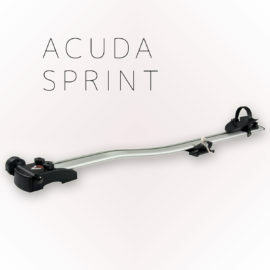 Installing the bike carrier is simple. The carrier is being installed using clamps or convenient pins to mount it on railing (or roof rack). 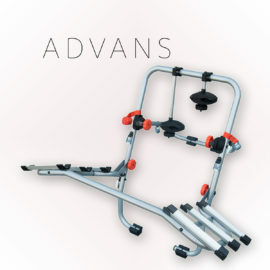 To install, it is necessary to already have base bars to which we can install our carrier. Maximum of 4 bikes can be transported at the same time, depending on the amount of installed carriers (one carrier for one bike) and the width of our car. Bear in mind that this way of transport guarantees optimal visibility. 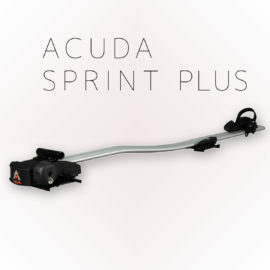 In case of using rear bike carriers mounted on trunk lids, the visibility through rear windshield might be slightly reduced. 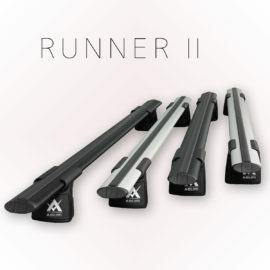 Roof carriers eliminate that problem. The access to the trunk is not difficult at all, either. Universal construction allows to safely install most of currently available bicycles, including kid models of various diameter of frames. Our carrier is equipped with double anti-theft solution. Installing the carrier does not require any additional tools.